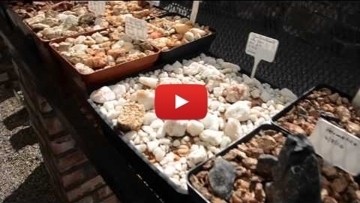 A fascinating collection of Lithops, also known as “Flowering Stones” or in the local dialect “bees kloutjies”, can be viewed in a specially constructed hothouse at Alte Kalköfen. 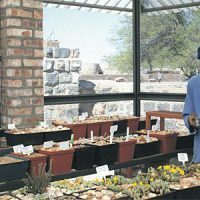 The ‘hothouse’ was formally named after Professor Desmond and Mrs Naureen Cole in recognition for pioneering work done on the Lithops genus. 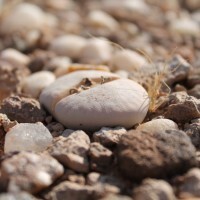 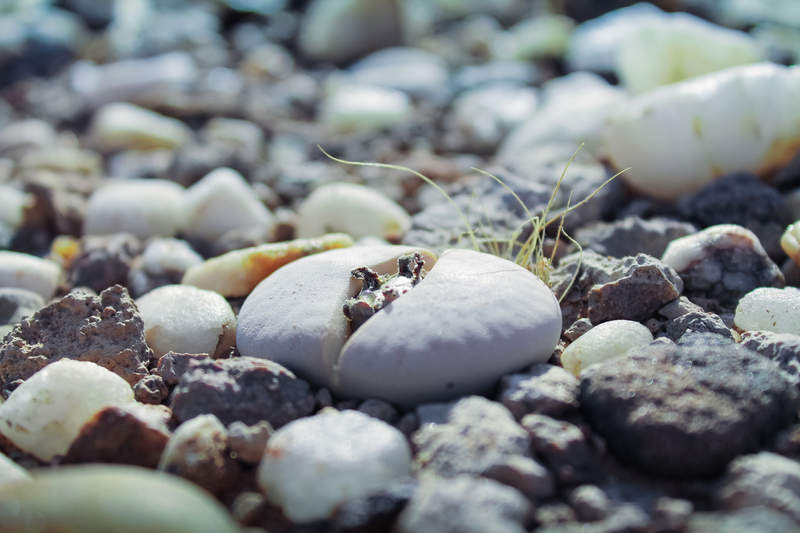 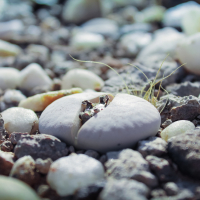 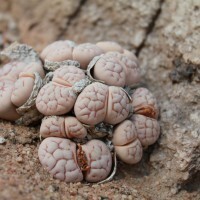 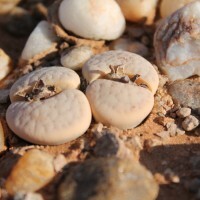 Lithops, resembling the pebbles and stones among which they grow in their natural habitat, have in recent years become favorites of the succulent viewing public. 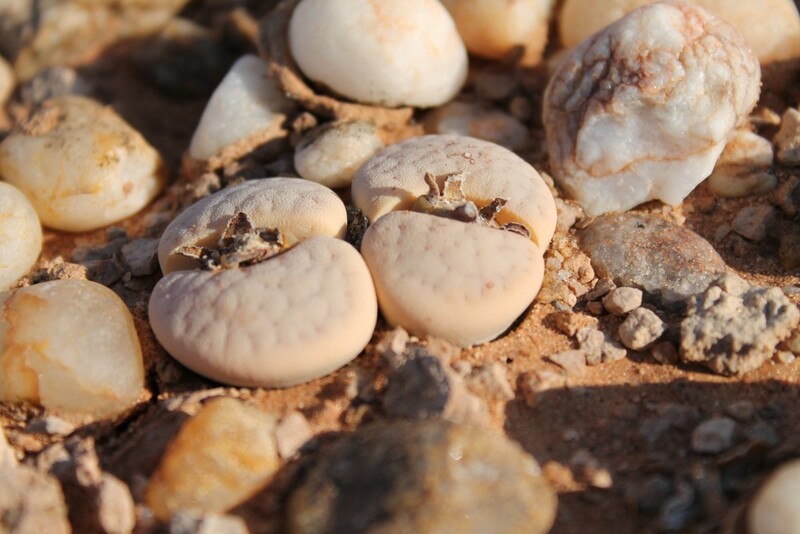 “On picking up from the stony ground what was supposed to be curiously shaped pebble, surprisingly proved to be a plant”. 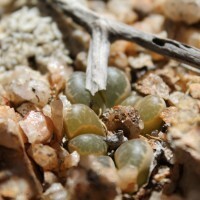 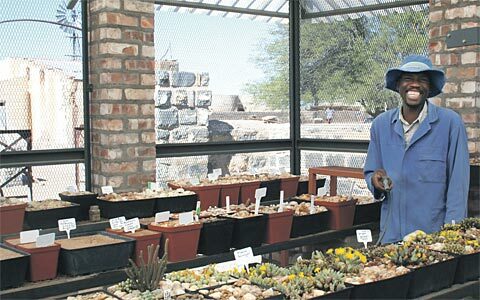 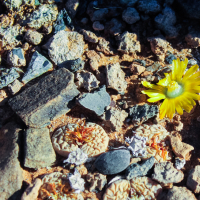 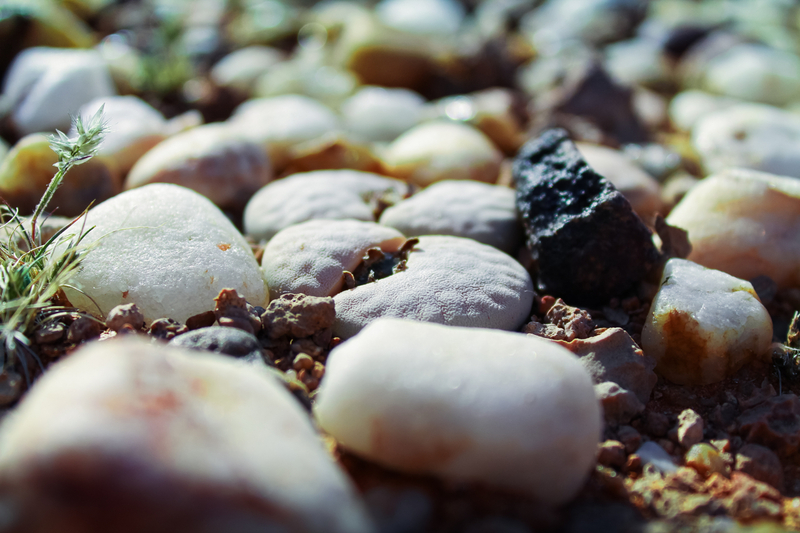 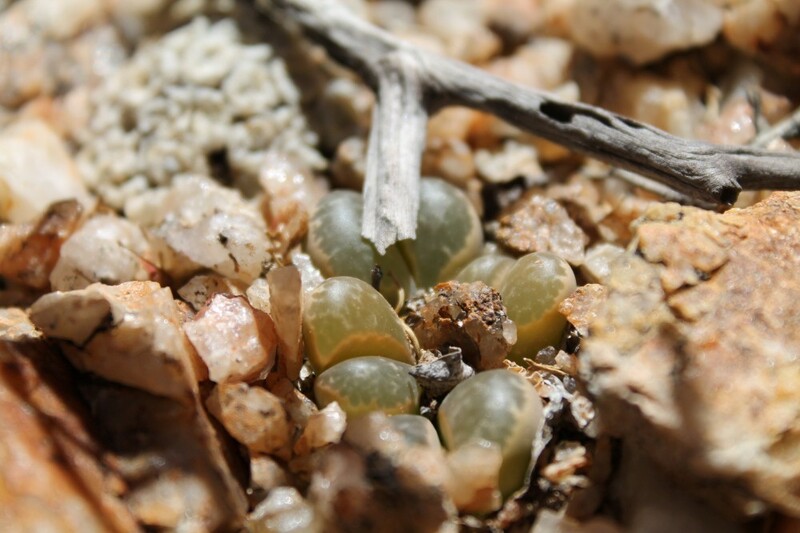 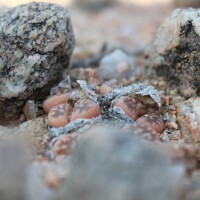 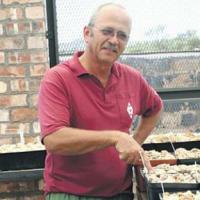 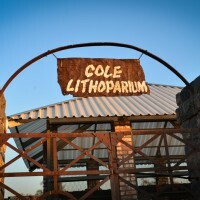 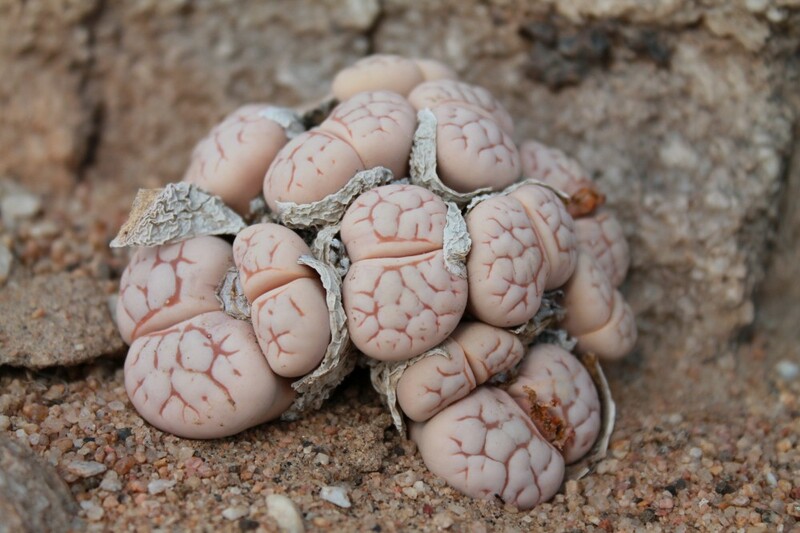 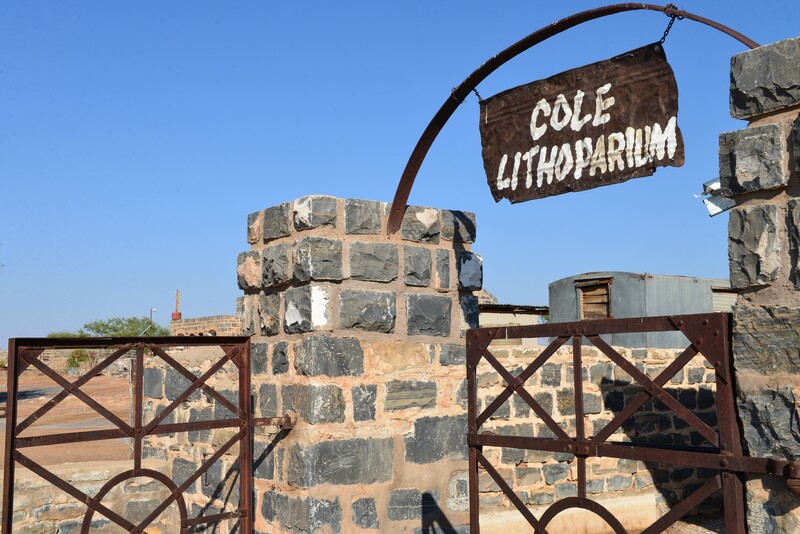 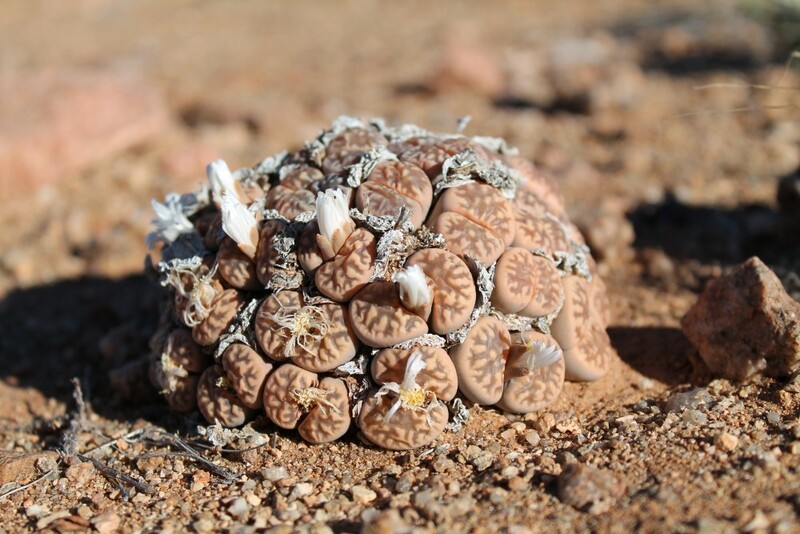 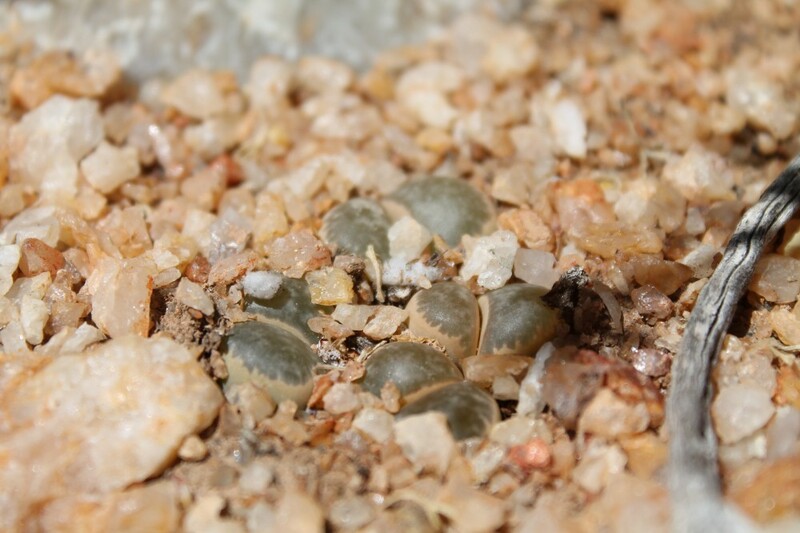 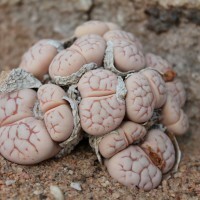 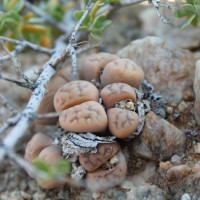 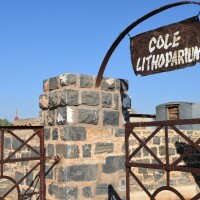 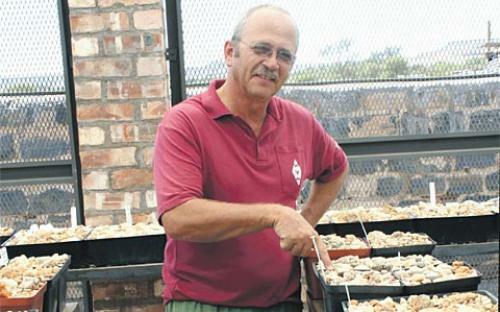 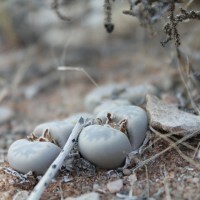 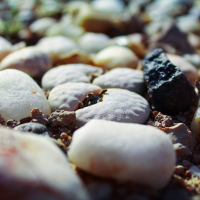 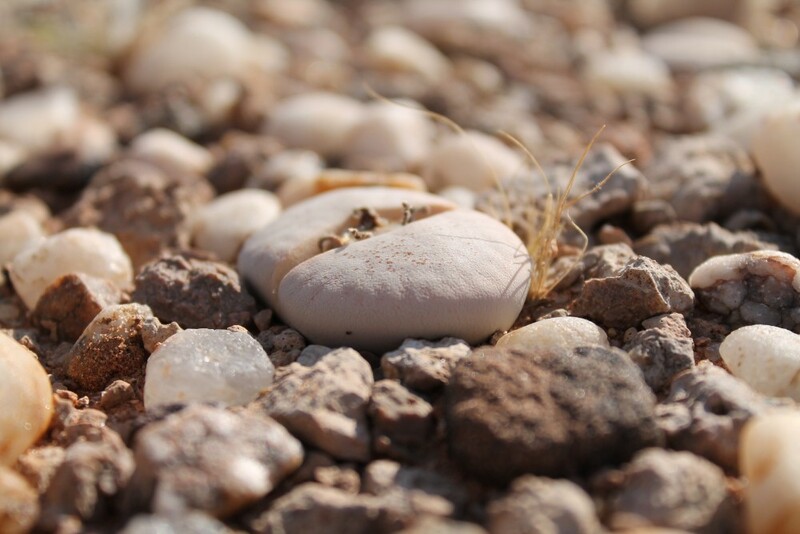 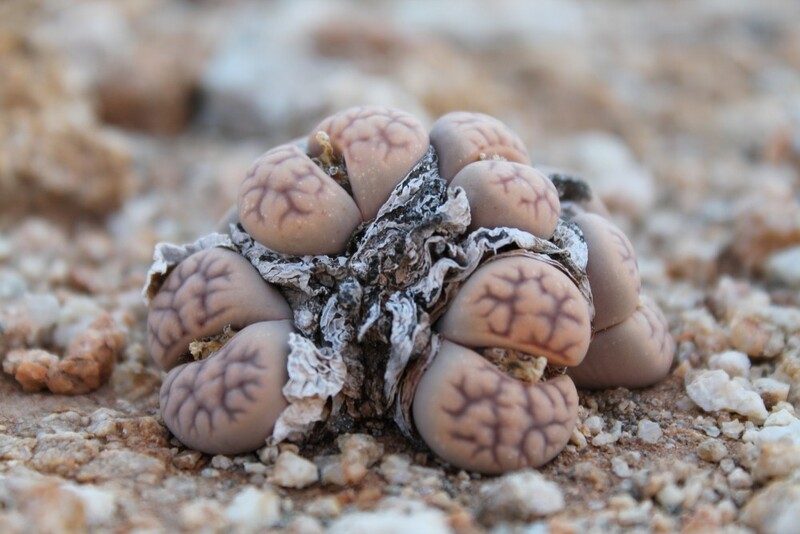 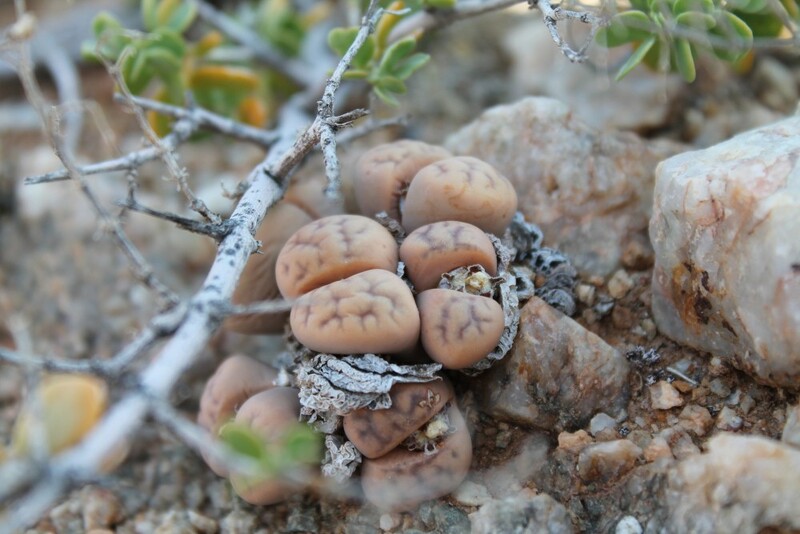 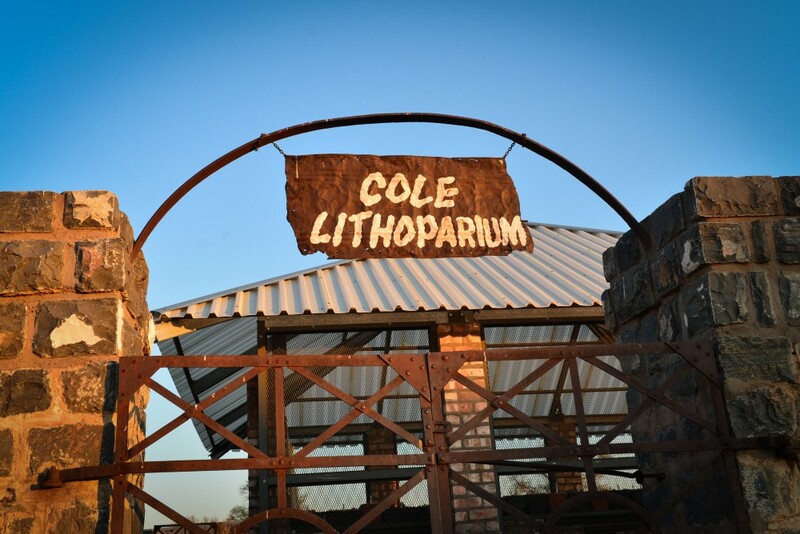 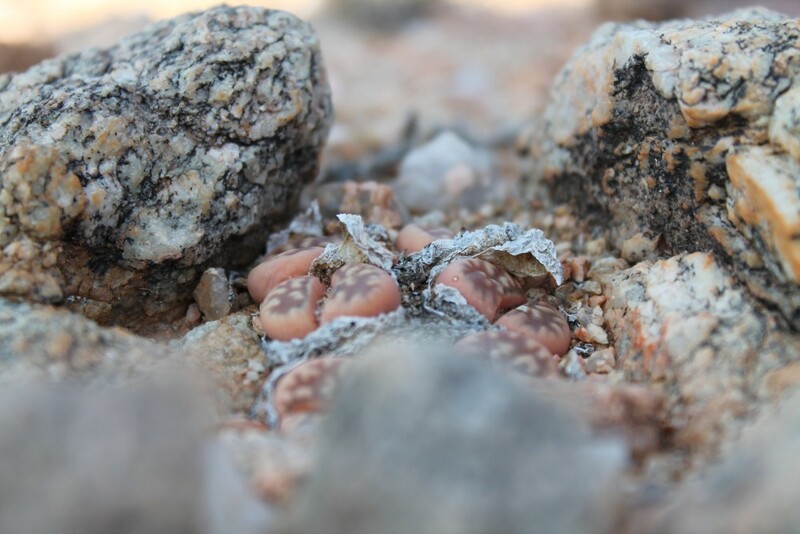 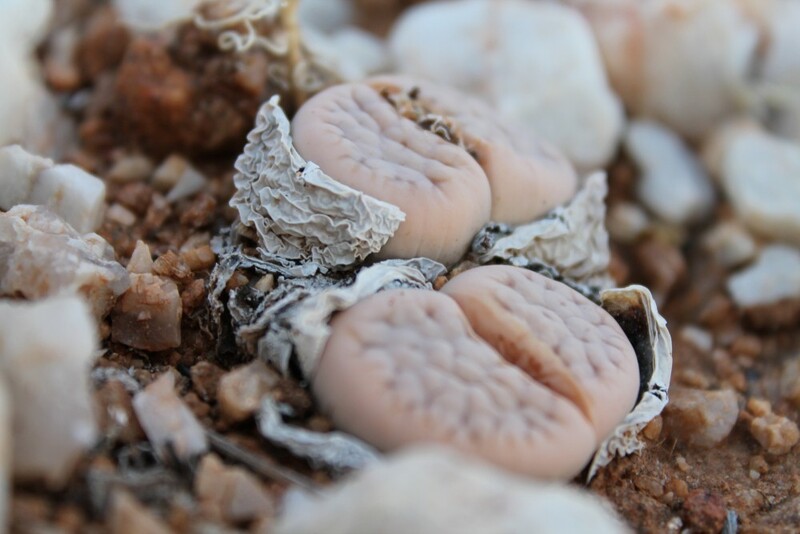 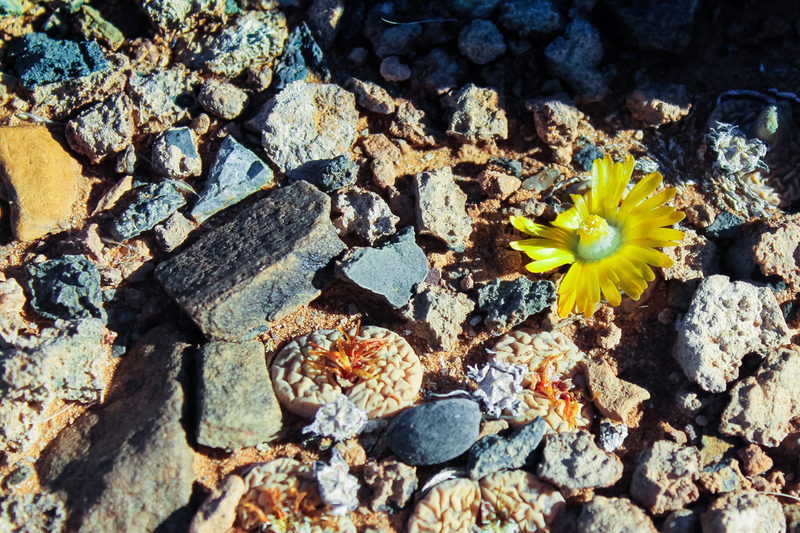 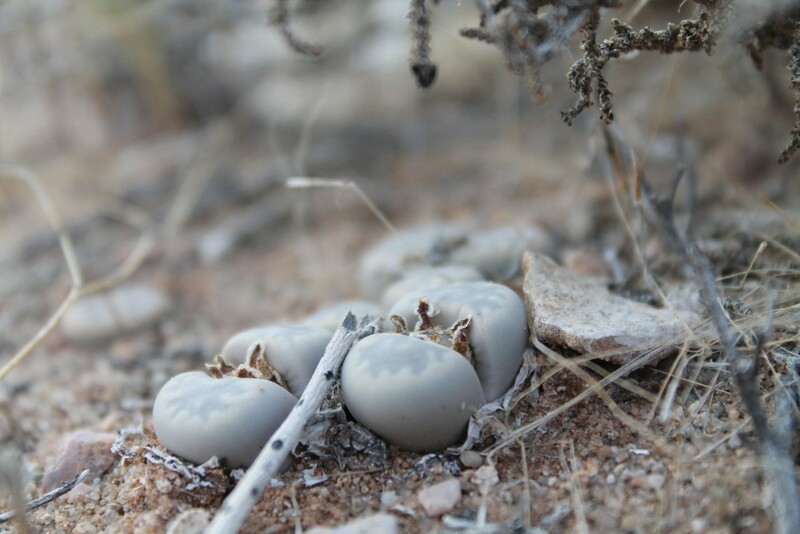 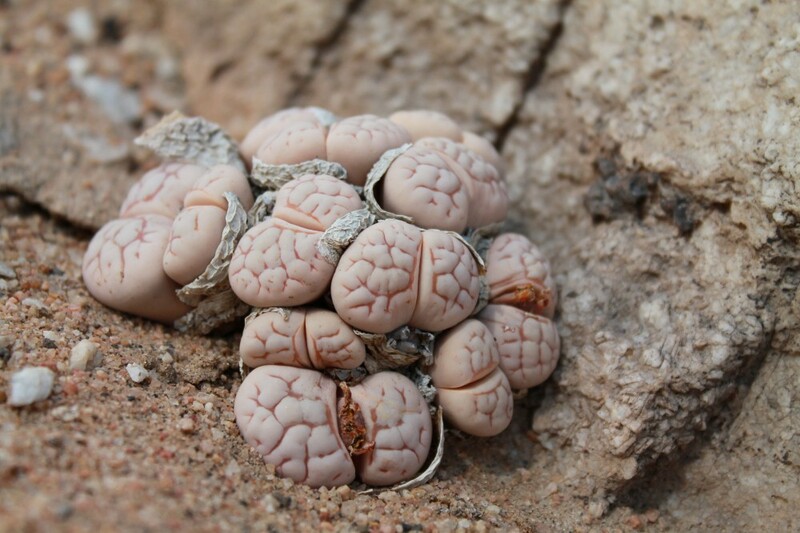 Alte Kalköfen Lodge proudly hosts the biggest registered collection of Lithops in Namibia. 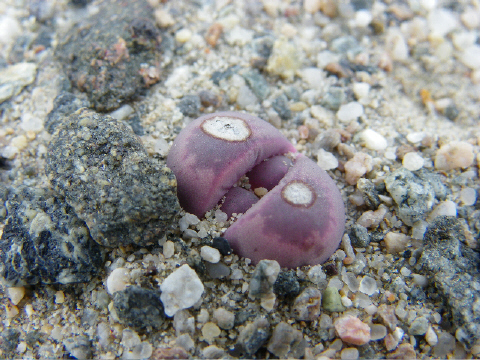 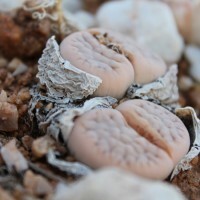 A Lithops is a plant which consists of two opposite leaves, fused together along the outer edges forming an obconic, turbiniform (top-shaped) body. 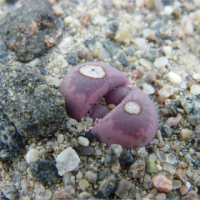 This body is divided into two more or less equal halves or lobes, which are fused together along their outer edge to a depth of 1mm - 4 mm. 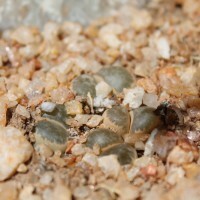 A thin line of adhesion closes the fissure across the top. 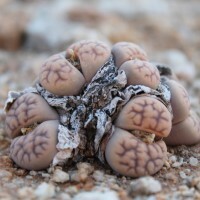 The majority of the plant's body remains below the surface of the soil, with only the top of the plant being exposed, the reason being to hide from any predators as much as protection from the sun. 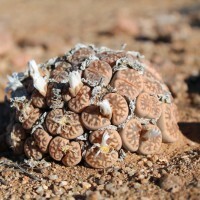 See: Lithops Flowering Stones published by Cactus & Co., 2005 for more information about this plant genus.